Jeanne Cronce and her husband, Robin, began their married life in a single-wide, modular home on a 5-acre piece of land. When they decided to raise a family, they harvested enough trees on the property to build a log cabin. Every piece of their home is lovingly crafted. 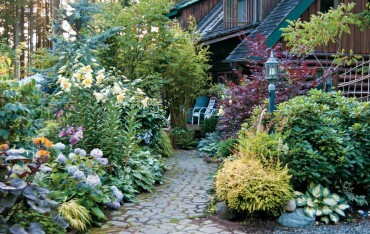 But that’s not all — the outside of their home is surrounded by acres of charmingly appealing garden scapes. 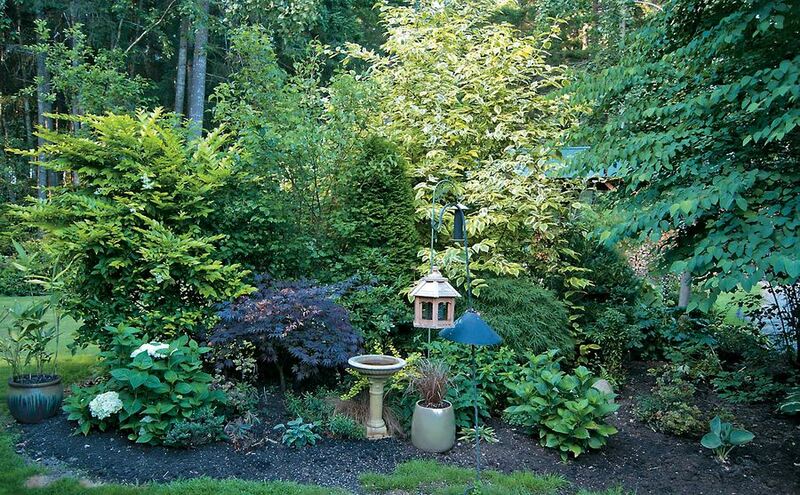 Not only does the property have forested edges teaming with native plants and trees, but the landscaped areas include plants and trees for both food and ornamentation. Every bit of these lush green surroundings is designed to enthrall, delight and nourish both the body and soul. Cronce says they’re still bringing in soil and amendments. She also makes her own manure tea for nourishing the plants. Each year, she finds yet another spot to create a new garden bed. 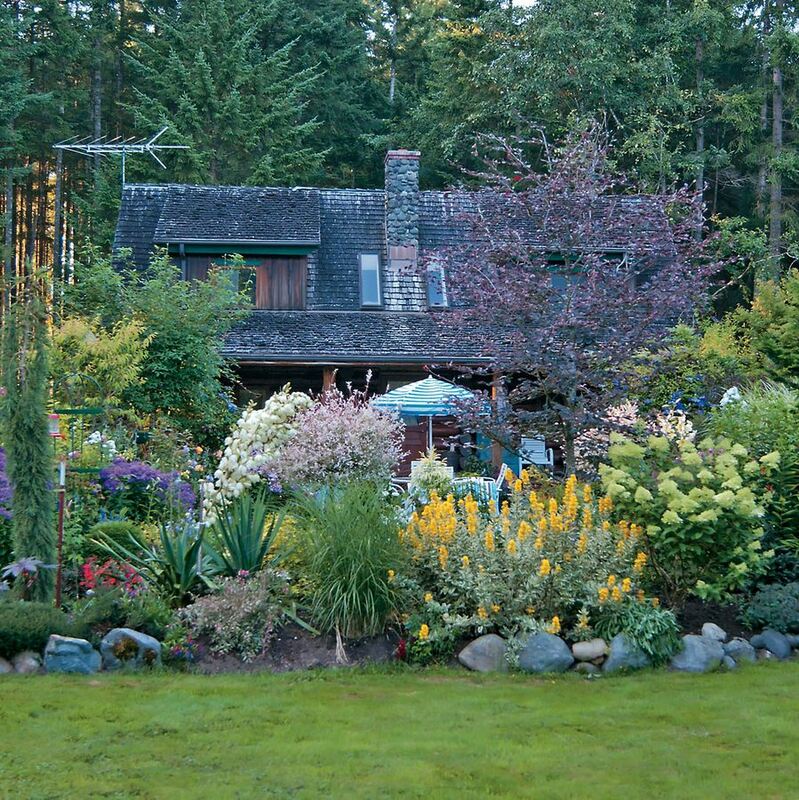 “We started the garden back then and it has continued to grow and grow,” she says. 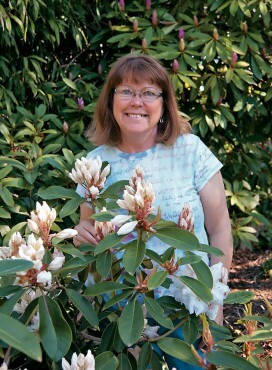 She loves visiting garden centers, nurseries, plant sales and the Port Orchard Farmers Market. Cronce does not purchase plants through mail order and loves bargains. One place she watches very closely for plants is the Manchester Library, where there’s a row of plants to purchase to help support the library. Another great bargain was an Arizona Cypress tree for only $10 that she picked up at a nearby Lowe’s. Cronce was the president of the Port Orchard Farmers Market and had a small plant business called Mustard Seed Patch. 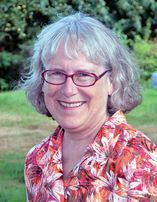 She is a quilter and crafter who made lamp shades and pillows that she sold at Queen’s Cabinet in Poulsbo. 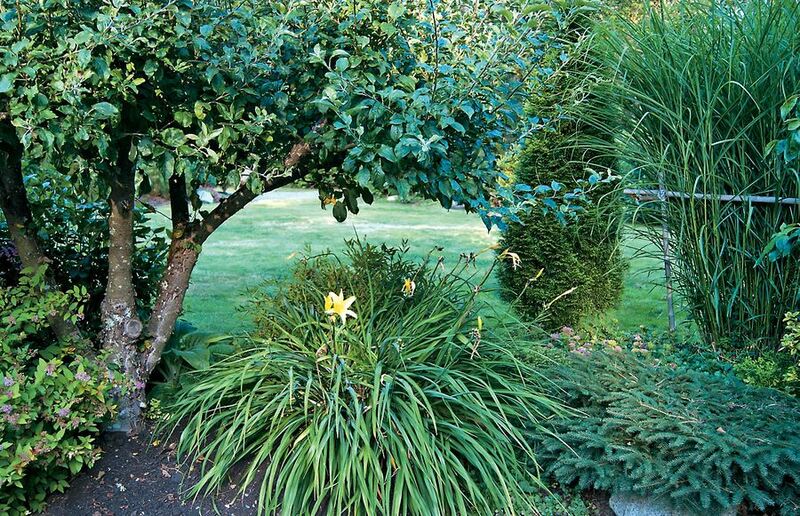 “I hate to throw away or destroy plants so I propagate them and pass them on,” Cronce says. She opens up her gardens on occasion to sell the plants and also has plants for sale at New to You in Port Orchard. Her newest venture is called “Green Genes,” as in, “it’s in my genes.” Cronce credits her mother with the gardening gene. “Our mom would take us out in the garden and taught us how to nurture seeds and then how to plant our own vegetables and even harvest and preserve them. She also taught me how to sew,” Cronce says. 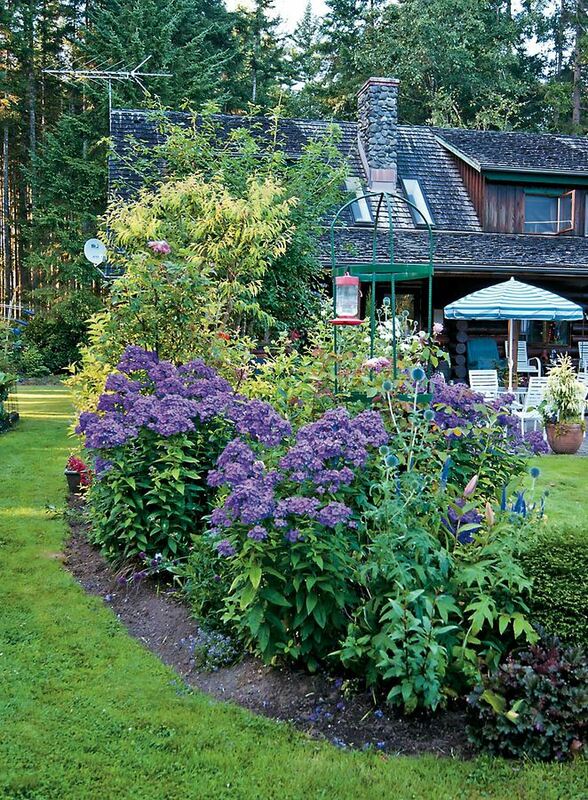 “My sister Patty is a Master Gardener and a great gardener too.” They grew up on Long Lake on 13 acres. Cronce loved to make little trails through the woods and spots to sit and enjoy nature. When her children grew up and moved away from home, Cronce found she had some time to spare and wanted to meet others who loved gardening. She was hungry to learn new things and share the love of gardening. She became a member of the Long Lake Garden Club and volunteers at one of the local schools each week teaching the students how to grow plants. She teaches the kids that “anyone can grow a plant and if something doesn’t grow, don’t give up, just try again,” she says. Cronce tells how a carful of celebrating people, drove onto their property and nearly landed in the septic system drainfield. 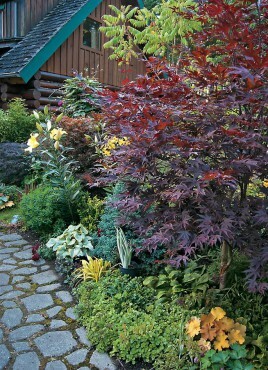 The Cronces soon created a whole gardening area with lots of shrubs, trees and plants along the driveway to deter wayward drivers. 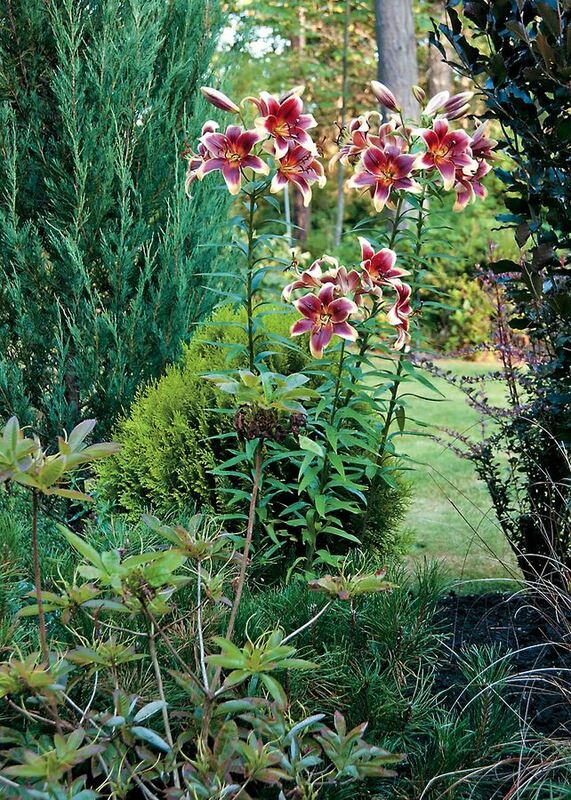 “I also get inspiration from visiting other gardens and also from books,” she says. 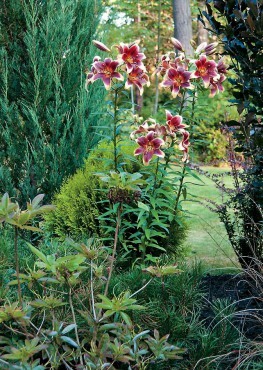 One of her favorite gifts from her husband was a trip to England to visit the gardens there. This trip provided many inspirations. Cronce looks for interesting and unusual books, especially beautifully illustrated ones from the 1900s. 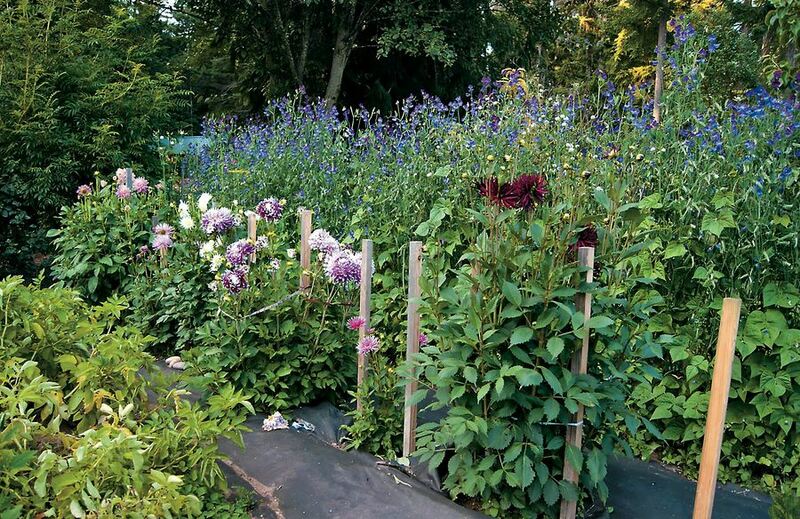 One favorite is about Celia Thaxter’s island garden in Appledore, Mass. She especially likes the illustrations by Childe Hassam, who was a painter-illustrator of that time. 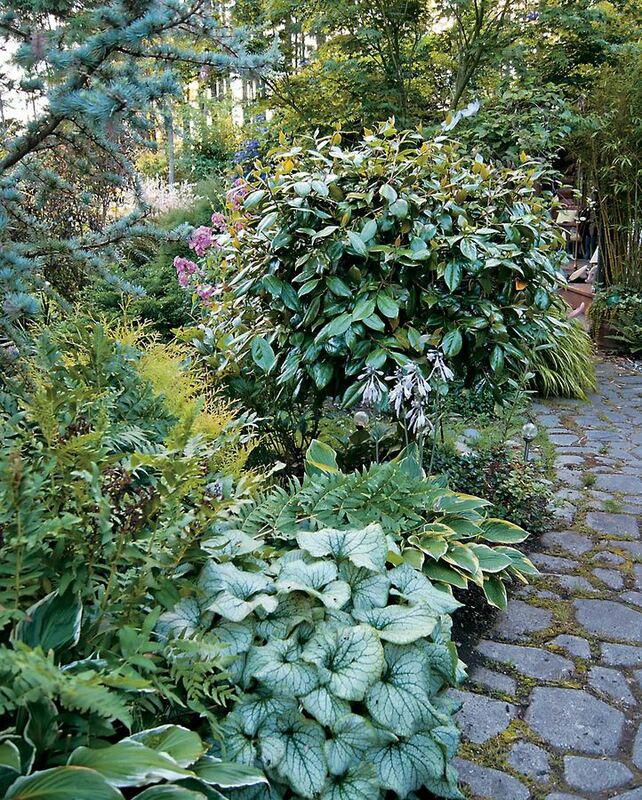 “I also like books with photographs of gardens for inspiration,” she says. “Sunset Western Garden Book” is another favorite. Cronce can be found in her garden nearly every day of the year. 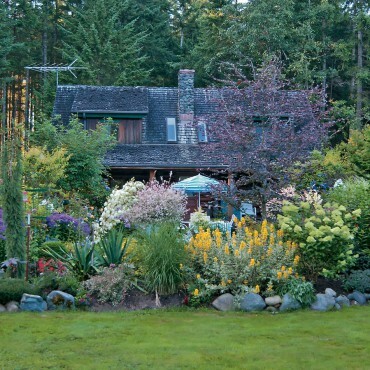 She does all her own yardwork with help from her husband, who mows, moves soil and amendments, and constructs wonderful garden structures. Their chicken house and fenced chicken run are an exquisite and beautiful home for their Rhode Island Reds, whom Cronce calls “the girls.” The girls provide wonderful manure for the vegetable gardens and delicious eggs. Also built by her husband are metal, wood and rebar trellises. Clematis cavorts all over the post, where an old basketball hoop still peeks through the vines. Cronce wove bamboo together into an entry way into one part of the garden. Clear-cobalt blue vases and bottles adorn the ends of the bamboo, reflecting back the light. Several large trees sport clear-glass globes from old street lights and chandeliers. When Cronce runs out of places in the ground for plants, she tucks them into every kind of pot and container imaginable. She loves to visit yard sales and thrift shops to find interesting decorative pieces to incorporate into her gardens. 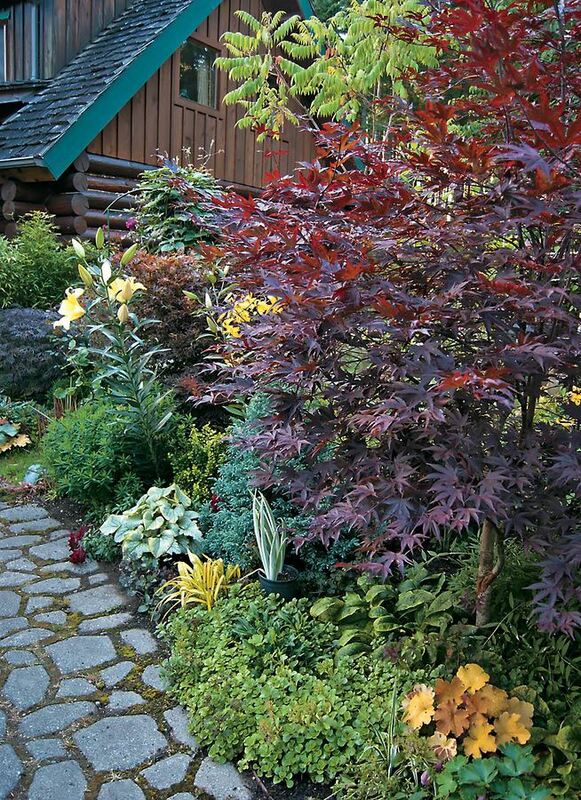 A future undertaking is to create a water feature in a boggy and wet area of the property. This will allow her to use a whole new palette of water-loving plants.